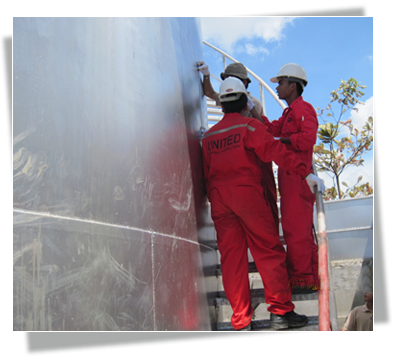 United General Inspection provides storage tank calibration services, also known as “Tank Strapping”, compliant with the API Manual of Petroleum Management Standard(MPMS) Chapter 2 – Tank Calibration. 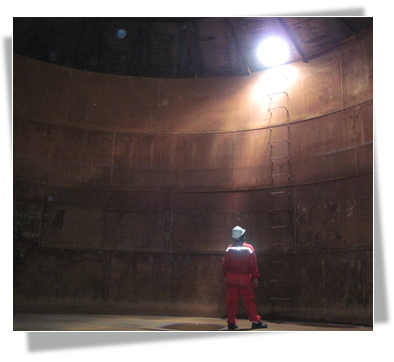 Our tank calibration services include direct physical measurement of the tank geometry and the in-house calculation of capacity tables from those measurements. 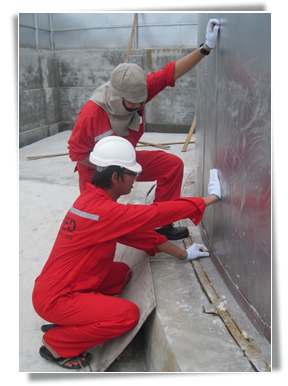 Our services are provided by experienced certified field inspectors. Innage or ullage (also known as outage). Level in feet-inches,decimal feet,metric. 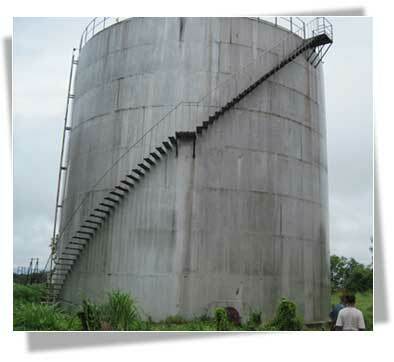 Volume in barrels, gallons, metric API gravity or Specific Gravity of the product to be stored. Height of Reference Gauge Point Fraction tables in 1/16 Inches, 0.01 Feet, none, other. Internal bottom survey elevations, datum elevation(s) and deadwood elevations performed with laser level instrument. 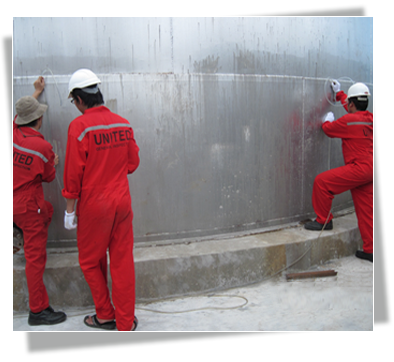 Shell thickness readings taken tank diagram. Reference circumference and gauge height measurements performed with calibrated steel gauge tape. Plumbness measurements and horizontal offsets done with a total station, a precision laser range/distance finder instrument. 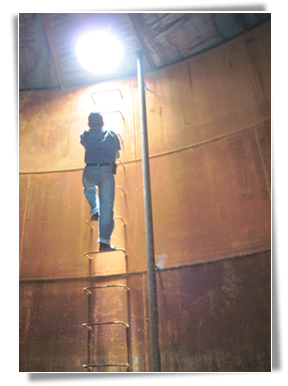 Our field measurements are conducted by experienced IFIA certified inspectors with additional tank calibration training. We measure certain critical dimensions by two different methods and perform field calculations to confirm measurements for improved accuracy. 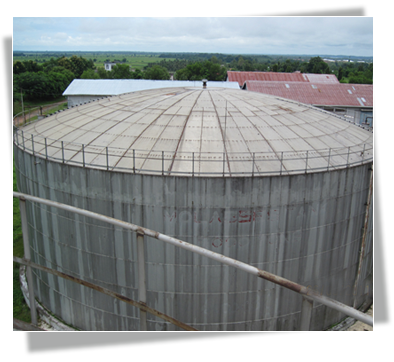 Our pricing structure is based on tank specific requirements. New construction. After repair or modifications, e.g.,new bottom installation. Every 15 years. Perform a bottom survey to calculate the displaced volume of the bottom. Measure and record the elevation of the datum plate and information about significant deadwood items to be included in the volume calculations. Measure and record each shell ring height and average thickness. Measure and record the gauge height and shell height using a calibrated gauging tape. 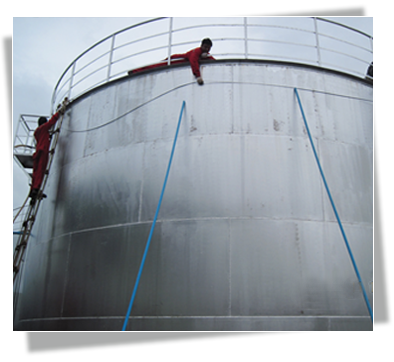 Strap the tank with a calibrated steel tape (80% Ring Height 1). Using the bottom course as a reference circle (80% Ring Height), measure the shell deviation, taking readings on each course at (20% and 80% Ring Height above the horizontal weld). 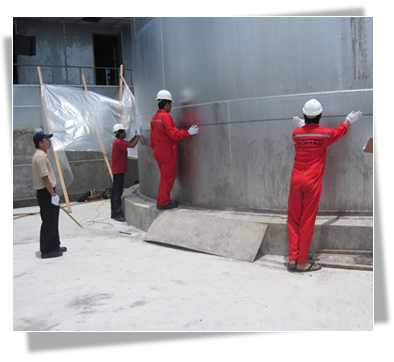 Provide a strapping table in accordance with API Manual of Petroleum Measurement Standards Chapter 2 Tank Calibration Section 2A and 2B.